Saw this and had to pop in here to post it up because it's just too awesome. I know, it's been a long time, but I'm still here and kicking. 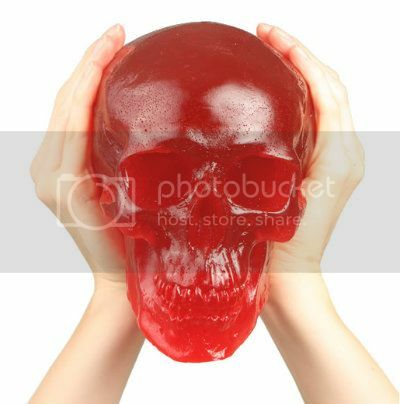 This Giant Glowing Gummy Skull ($38.99) looks delish. It's cherry and weighs 5 pounds but I'm not sure where I would start on this. Do you slice it up with a knife and serve pieces or just bite right into it? Also, it doesn't actually glow unless you stick a flashlight underneath it, which is kinda...duh. 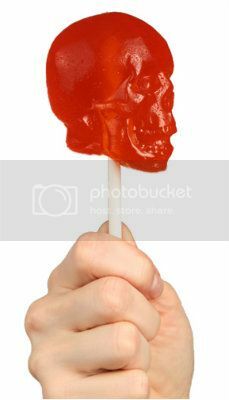 The Gummy Skull on a Stick ($5.99) is more portable at only 4 ounces. I love it. 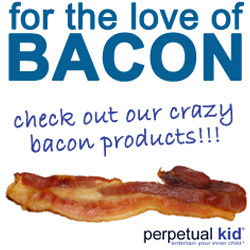 Totally need to stock up on these.